Excellent phone for the price used, got the GSM version to use with AT&T. Like the fact all contacts n notes are synced to Palm and automatically backed up everyday. 1. App selection is really limited, less than WinPhone7 or Android. 2. Battery life is less than desired with its tiny 1150mah battery, compared to many other phones which feature 1300-1800mah batteries. I bought this model because I wanted relatively cheap first time experience with real smartphone which has phone-rather-than-brick form-factor and good OS. Both was as good as expected. However, several points should be mentioned regarding question why it's so poorly rated (even comparing to its predecessor). First, I'm sure people were disappointed how little were improved in this model. Addition of memory didn't not improve mediocre performance especially for 2nd generation. Improved keyboard couldn't compensate for overall disappointment - but convinced me to prefer Plus over previous model. Secondary, there are too many small disappointing things you cannot accept in 2nd generation model. 1) Camera is slow (it even froze the phone once) and makes only acceptable pictures in full light. 2) Software apps are limited: no Skype, MS Office editing, Flash and when you try to find something in web - it's all work-in-progress. 3) Phone has mediocre quality (probably also due to prepaid network I use). 4) Battery only enough for 1-2 days of mild use even without Bluetooth. 5) Lots of accidental operations (probably general touch-issue). 6) Plastic display get scratched - get cover. You can make a lot of upgrades from Preware - Palm Pre community... if you like those kind of stuff. Despite all that, this is a solid smart-phone with beautiful card interface, real multi-tasking, quality display and keyboard, good search-all-in-one capability and nice touch-stone-charger for only $200. It's just not competitive enough... unless gets upgraded by HP. Why is this poorly rated compared to the original Palm Pre? It's better right? just bought one used from ebay, $180 usd + touchstone. hopefully it'll be able to persuade me to purchase the future Palm & part from my berry. hey can u unlock the palm pre to use it in india??? pin, 24 Sep 2010ya most of patches and homebrew app s are available for pixi.. Find more on precentral.net o... morecan i install these "apps" without having to unlock the phone or something ? do i loose the warranty ? one patch or say kernal upgrade ur processor to 1Ghz from500 Mhz.. I.e. Doubles ur mobile speed. Its as if palm device on steroids..
PIN, 06 Sep 2010HI, GUYS if u want to use this mobile truly,, u have to have, the homebrew(preware) installed,... moreTo PIN: What are the "tweaking, patches and homebrew apps" you referred to ? Does the same apply to the Palm PixiPlus as well ? I am thinking of getting either one of them to replace my old Tro 650. HI, GUYS if u want to use this mobile truly,, u have to have, the homebrew(preware) installed, else don t buy this phone. its not 20% worth without tweaking, patches and homebrew apps..And after that you won t like to look at any other OS phone...be it Android/IOS/BB.. u will see the difference. Its not really much different between it but that could just be my opion. Renz, 22 Jul 2010Rams, I have a Globe Visibility unlimited data plan here in the Philippines for more than 3 ye... moreRenz, been waiting for this too. i tried to email palm to ask its availability but i keep getting return mails. i think their address isn't working. cant find another email contact for them. Rams, 24 Mar 2010To WebOS. I agree with cause I know Philippine carrier doesnt have any unlimited internet plan... moreRams, I have a Globe Visibility unlimited data plan here in the Philippines for more than 3 years now. I also had the Smart's (or PLDT?) unlimited data plan (w/c was slower) for more than 1 year before I got the Globe Visibility. I'm still using with this my very old Treo 650 because I was waiting for this Palm Pre but until now I don't have any news if this will ever reach our shores. I'm considering HTC Desire now. battery life is not bad (imo). great app catalog ( but not all of them). keyboard is great to type on (imo). Got this when it came out on att. Hoping it would offer a lot more than my SE 760. As it turns out the dumb phone was faster on most regular tasks, better and faster integration with Google apps. The battery life was the deciding factor though. I need to have my phone run all day! its 2100. but the GSM Edge will work just fine. 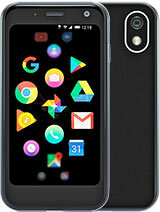 is video call & SIP call possible in this palm pre devices.